Canadians are generally considered friendly, honest, and knowledgeable people who will do whatever it takes to get the job done. At LCWSoft, we don't make unrealistic promises and then hide behind our policies to limit your usage. Others may boast about "response time" and "rock bottom prices". Those do not matter when you receive canned responses with no solutions, or suffer from constant downtime. And as one of the first Canadian providers to use CloudLinux together with cPanel, you can rest assured that your service is as secure from outside threats as possible while being easy to use. While we are known for quality web site hosting, it is not the only thing we do. We also offer affordable web design services that will build you a web site that will be something to be proud of! Beautiful, easy to use and maintain, and created with search engine friendliness in mind to not only impress those who are already familiar with you, but bring you new business or visitors as well. We also offer an array of competitively priced, high end SSL certificates that you can use to secure communication being you and your user, starting with a basic RapidSSL and moving up to complete domain and extended validation. Our support goals are simple: be respectful, knowledgeable, and always use clear and concise language. In our industry, the quality of your support is paramount. To us, no issue is unimportant and every effort is made to ensure that a resolution is reached as promptly as possible. The average ticket response and resolution time is less than 1 hour! LCWSoft - web hosting built on quality service. Whatever you need, we've got you covered! Our advanced hosting solutions rival the best providers on the web in both price and performance. Our most affordable package, great for getting started. Free domain registration/transfer (.ca,.com,.net,.org) with annual or longer purchase, and more! Pro performance, premium features, free domain registration/transfer (.ca,.com,.net,.org) with annual or longer purchase, and more! Best performance for demanding websites, with free domain registration/transfer (.ca,.com,.net,.org) with annual or longer purchase. 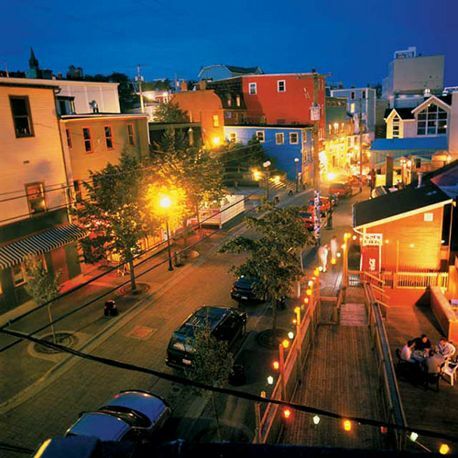 LCWSoft - Web Hosting and Design Services in St. John's, Newfoundland. Since opening in 2007 in St. John's Newfoundland, we have provided the best Canada web hosting using the popular Linux platform, ensuring your sites run smoothly and with 99.9% uptime. We also offer world class web design services with a focus on user experience, responsive design (try viewing our website on any device and see how well it scales), and SEO best practices so you don't need to pay thousands to another company to make on site changes before working on link building and such. We are not the cheapest, but we are worth every penny. As the old saying goes: you get what you pay for. With us, you get reliable, worry free service and support who is there when needed, whether it be for help with a simple password reset or a complex issue. Our hosting system is built to be as green and nature friendly as possible. Over 150+ scripts ready to install (1 click), including WordPress and Joomla. Need Assistance? Our support team is here to help you when you need it. Affordable web hosting and design packages, with options to suit your needs.